Born in the U.K. with roots in Jamaica, Paul has lived most of his life in Australia. Musical interests have journeyed through and revisited Blues, Jazz, Reggae and Funk music. 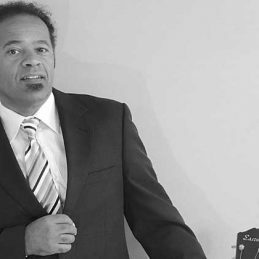 While part of a successful Jazz/Funk quartet “Sugar Blue” who play Melbourne and interstate gigs Paul’s latest exciting project is focused more intently on blues although the recipe is spiced moderately with jazz and reggae influence. The debut blues album “Peace Of Mind” has now been released and a few samples are here for listening. Over the years Paul has been involved in numerous festivals in one guise or another.. Mount Beauty Music Festival, The St. Kilda Festival, The Maroondah Festival, The Apollo BayFestival and many more. On a community level he lives at the foot of the Dandenongs in Melbourne, Australia and has taken part in The Basin Music Festival, The Knox Festival, The Stringybark Festival and others. He regular collaborates with very talented local musicians who also appear on the album and work with Paul regularly. The blues line-up varies from Solo through to Five Piece band according to the budget and logistics of the event. “Peace of Mind is a contemporary blues album that is full of groove , passion and soul. Wonderful music that swings from the start to the end.” Barry Maxwell – 3NRG Blues On The Hill, Sunbury, Victoria. “Paul Jamieson’s debut release contains strong original & well recorded blues & roots tunes amongst the best to come from Australia…” Graham Henries – Graz’s Blues Den, Encore 96.3FM Bundaberg, Queensland. “An excellent album , its an exotic blend of blues & roots with jazzy undertones and some reggae grooves thrown in for good measure , nothing is out of place and the finger picking and overall musicianship is exemplary. I LOVE IT ! “ – Pete Williams, “Made In The Shade” Blues & Roots Show, Radio 3NRG – Melbourne.